Most, if not all, of the Vikings have voluntarily reported to Winter Park for the start of the team’s offseason workout program. But Zimmer is out for the day with another surgery on his right eye. Most, if not all, of the Vikings have voluntarily reported to Winter Park today for the start of the team’s offseason workout program. But coach Mike Zimmer is not expected to be in the building to oversee things. Zimmer was scheduled to undergo another surgery on his right eye today. It will have been the fifth procedure on that eye in the past six months. 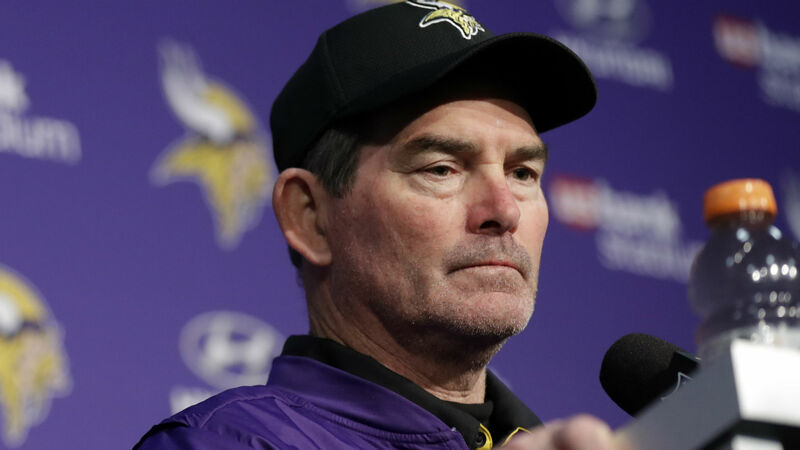 If all goes well with this one, Zimmer will have one final procedure, cataracts surgery, in a couple of months, the coach said at the combine. Zimmer won’t be missing much as he is sidelined for his latest surgery. During the first phase of the offseason workout program, football coaches are not permitted to do any instructing on the field. Beyond quarterbacks throwing to uncovered receivers and specialists booting balls around, the first two weeks of the program is mostly work in the weight room. Per NFL rules, players aren’t allowed to be on the practice field together for 11-on-11 drills until organized team activities start next month. However, during this first phase of the offseason workout program, coaches are allowed to be involved in film study and classroom work. So Zimmer’s assistants will have to start introducing the schemes in his absence. Despite these first two weeks of the offseason workout program being far from actual football, Vikings veterans such as defensive end Brian Robison and tight end Kyle Rudolph took to social media to express their excitement about being back in the building with their teammates.